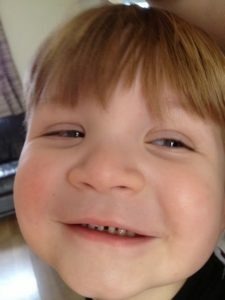 This week has been all about my little one’s Tyler’s fall and his loss of his tooth, if you missed out you can read the story here. Lucas:- “Why’s that lady not got any clothes on? She must be freezing.” He was ripping up page 3 of the sun. Me:- “Yes she must honey.” Ahh the innocence of childhood. Long may it continue. We had a lot of fun discovering different colours with mixing paint.